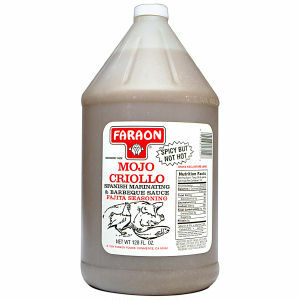 Our gallon size Faraon Mojo Criollo is perfect for restaurants, food service establishments, or large events. An authentic Spanish recipe , marinating and barbeque sauce. You can also add Faraon Mojo Criollo to your special beef or chicken slices to make delicious fajitas.